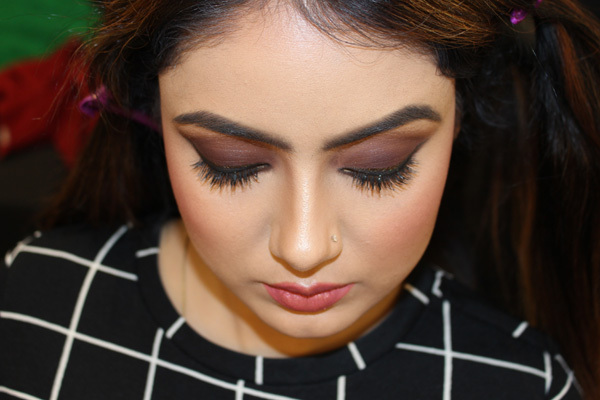 Shades creating unique and distinctive looks for their clients by emphasizing the natural beauty in each individual face. 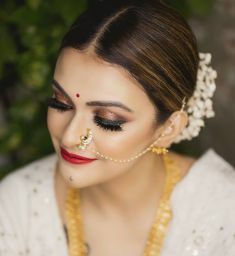 Believe in finding the perfect bride wear and makeup style for their clients, whether the event calls for simply natural or elaborately dramatic, is always their first priority. 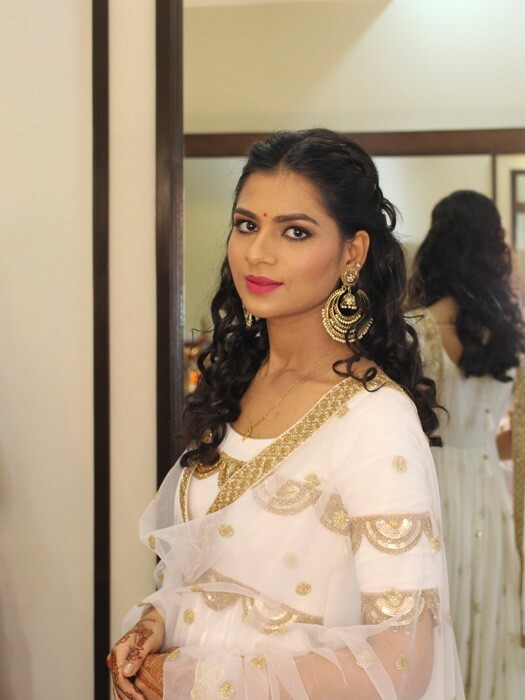 We gives the more natural and stunning look for any event and make you more alluring version of yourself. My philosophy is simple - less is more. I believe it's more important to focus on accentuating what a girl has been gifted and focus on what exists rather than trying to create something that doesn't. 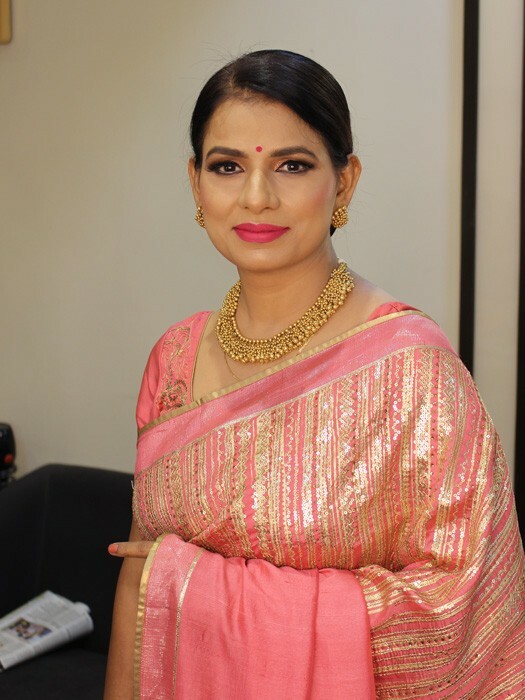 It's important to choose the right products for that perfect glow that enhances ones complexion and features, which is of utmost importance to me. 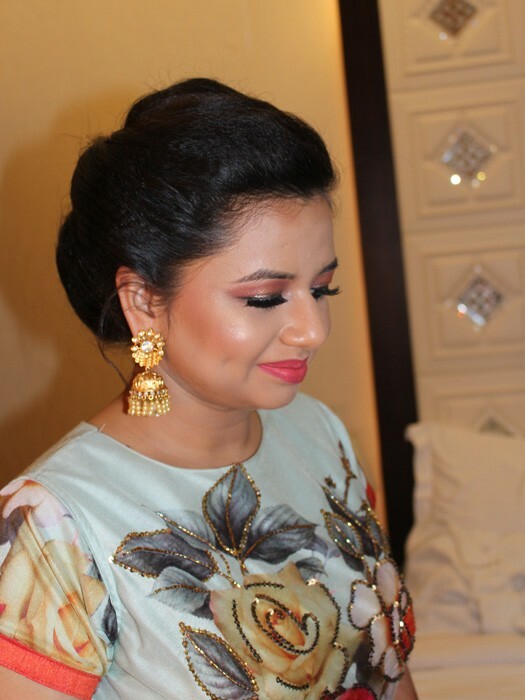 Makeup is always considered the most effective tool to enhance anyone beauty with their best rendition. 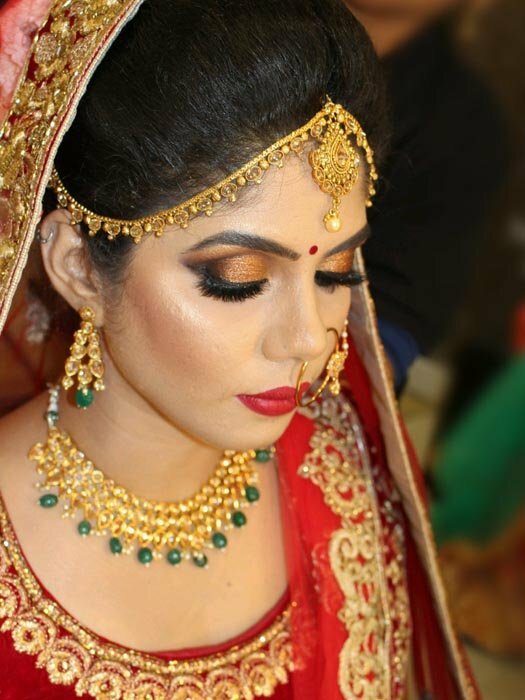 Though Indian bridal make up is a bit gorgeous with red and gold hues predominating but the makeup shouldn't be over the top and should naturally enhance the dewy radiance of the bride. 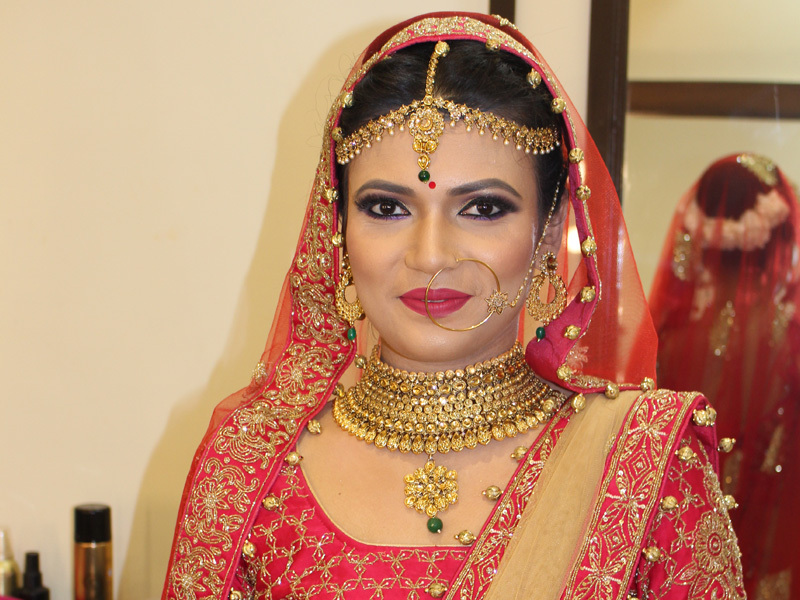 Bridal make up can effectively correct any imperfection or marks that the bride may have in her face. 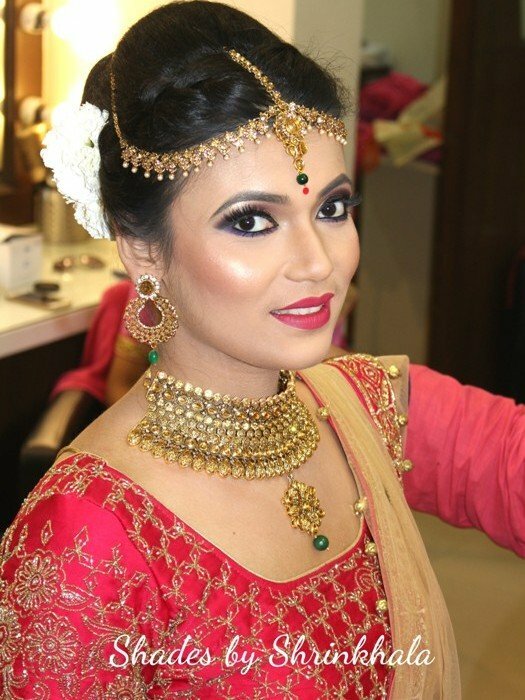 So over all bridal make up form an integral part of a bride’s repertoire. We create the normal beauty for women who just need a slight enrichment as of from their beauty. 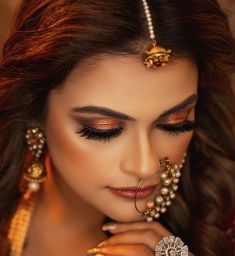 Somewhat changing the fashion you look, the natural normal method includes slight modifications in the way your skin, eyes, and mouth appear in public. 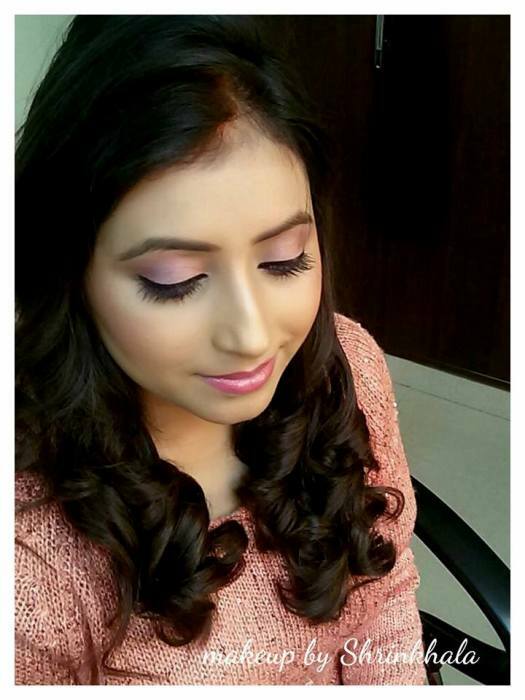 Light rosy or tan make-up for a natural look, in its place of a cheerful pink could give you more elegance. 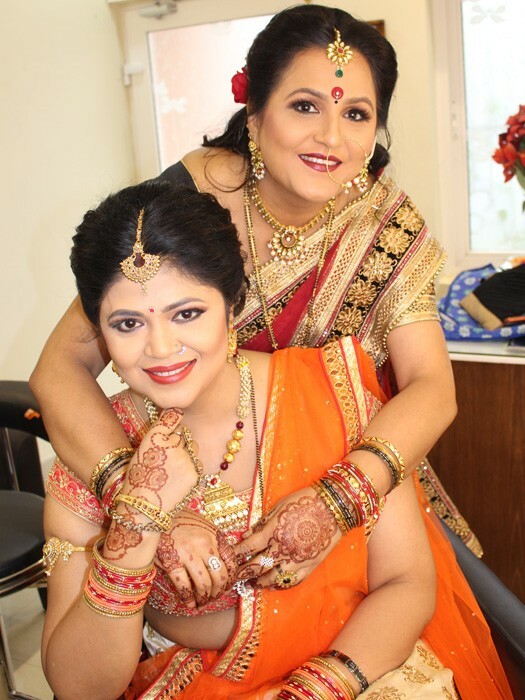 "Wanted to thank you whole heartedly and most immensely for making the gorgeous ladies of my home look even more radiant. We all want to thank you for your utmost dedication and expertise. Mom conveys her special gratitude as well." 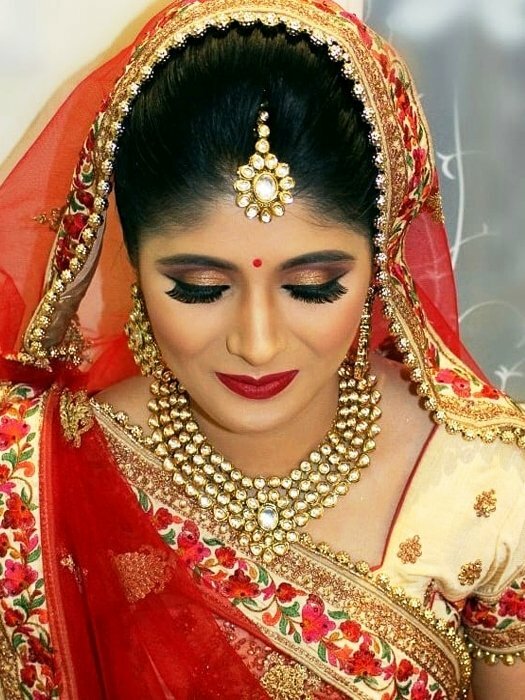 “Thank you for giving me the most beautiful make up on my wedding day! My make up honestly looked amazing from when you applied it at 5am to 12am the following day. There were no signs of what little sleep I had the night before and I loved how it felt so natural and light on my skin. 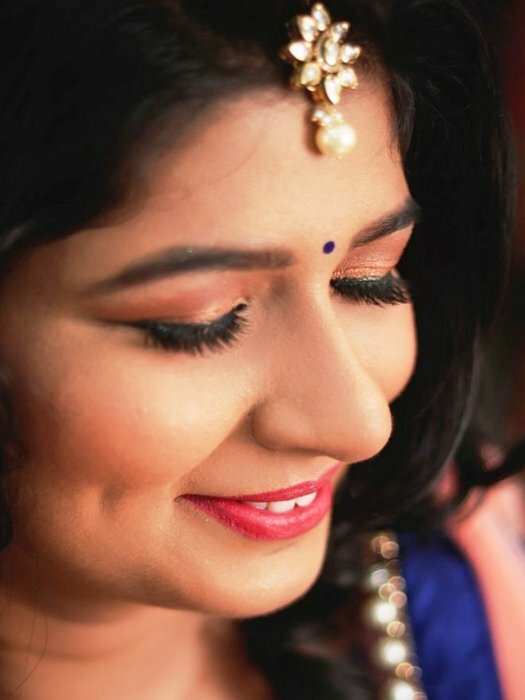 I wiped away so many happy tears throughout the day and my make up was as luminous and perfect as it was in the early morning. I can’t thank you enough for making my bridesmaids and I look and feel absolutely stunning! I’m so grateful for having you as my make up artist. 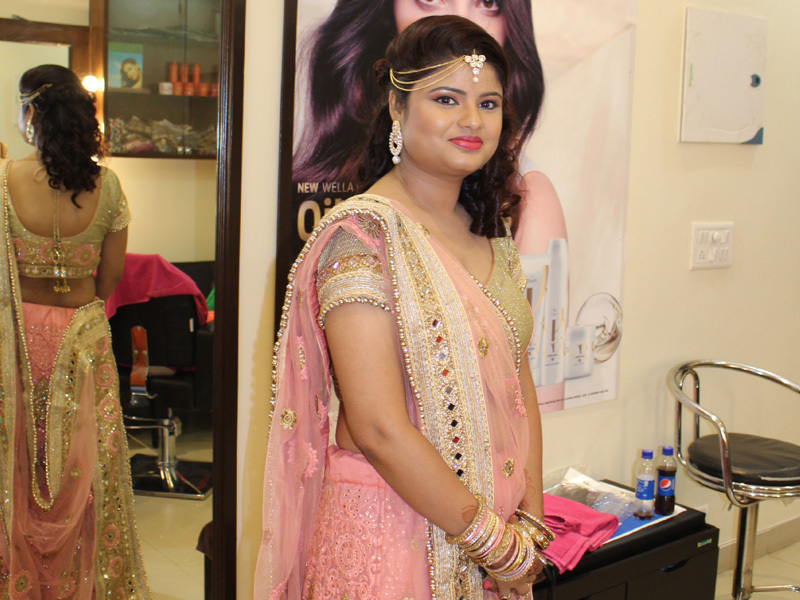 Salons can offer the perfect way to get ready for a wedding day celebration. 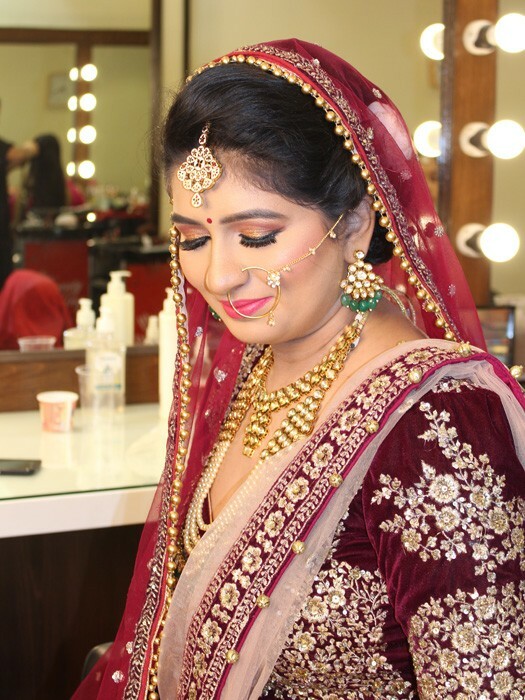 The bride and her bridal party may wish to book a salon where they can all meet and get ready together. This may handle the hair and makeup of everyone in the group. 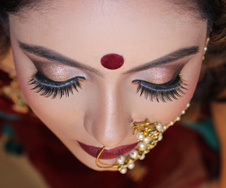 Depending on the amount of time available, this type of booking can create the ideal way to bring everyone together to look his or her best. 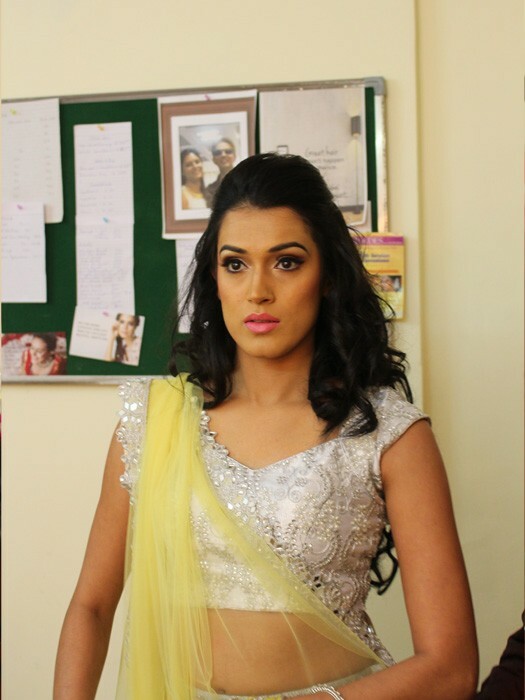 Contingent upon the measure of time accessible, this sort of booking can make the perfect method to unite everybody to look his or her best. 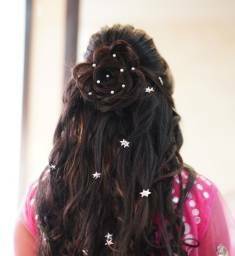 Obviously, there are some key interesting points for choosing the best salon in Lucknow for your grand wedding. 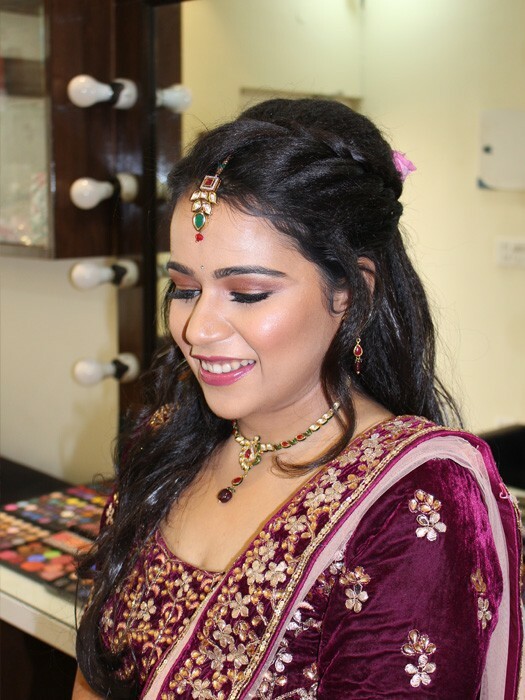 Numerous salons tend to slow down their appointments for a few hours so they can address the issues of the whole wedding party at one time. With professional levels of field, we use the highest-quality products. For complete and perfect cosmetics, they keep them modified with all the newest technological innovation. 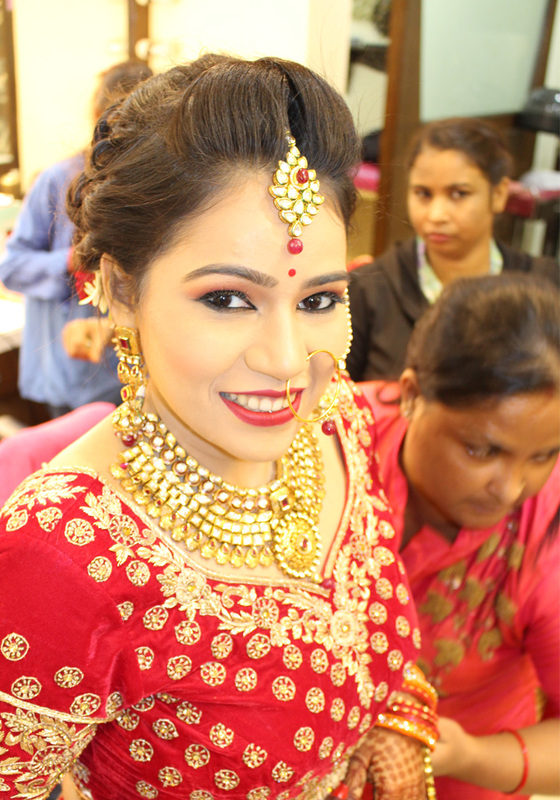 If you are looking for the best Makeup Artist in Lucknow for bride or any occasion then your search ends here. 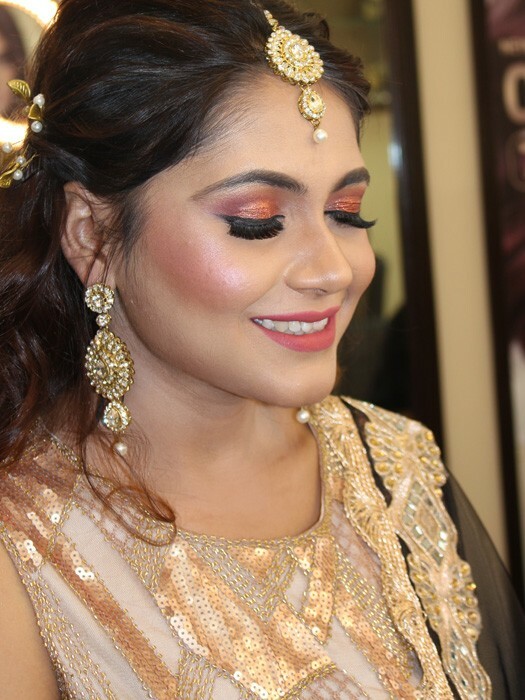 Shades Makeup is known as the best and counted among the top make artists in Lucknow offering word-class make up services to their clients. 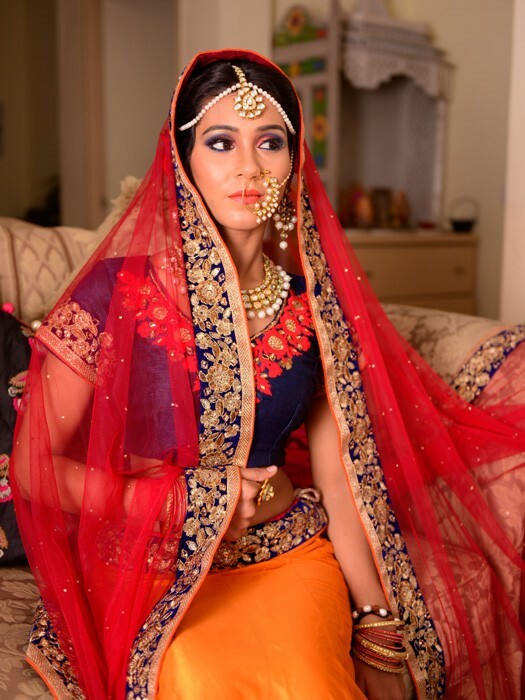 It is said that Marriages are Made in Heaven. 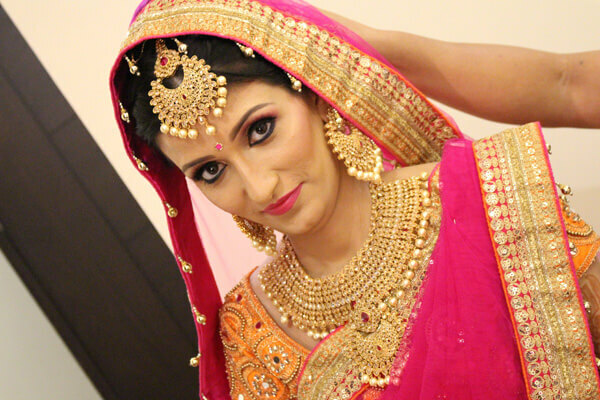 In such an important event should not the Bride glow like an Angel. 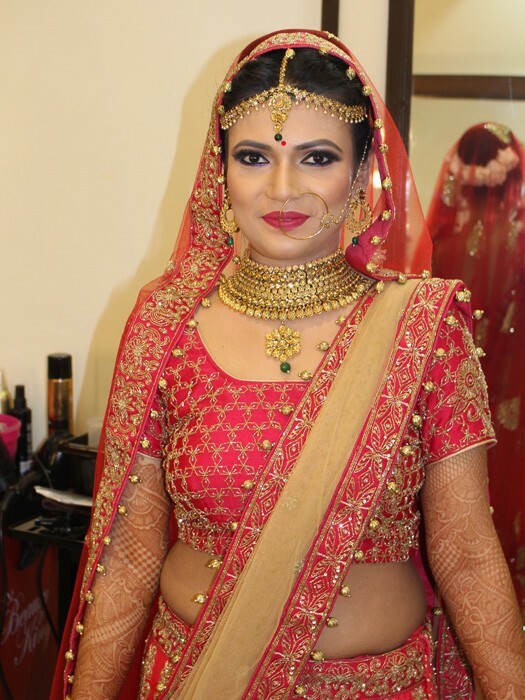 Shades Makeup is having bridal makeup artist in Lucknow and their aim is to transform the Bride to look happy, confident and gorgeous and radiant. 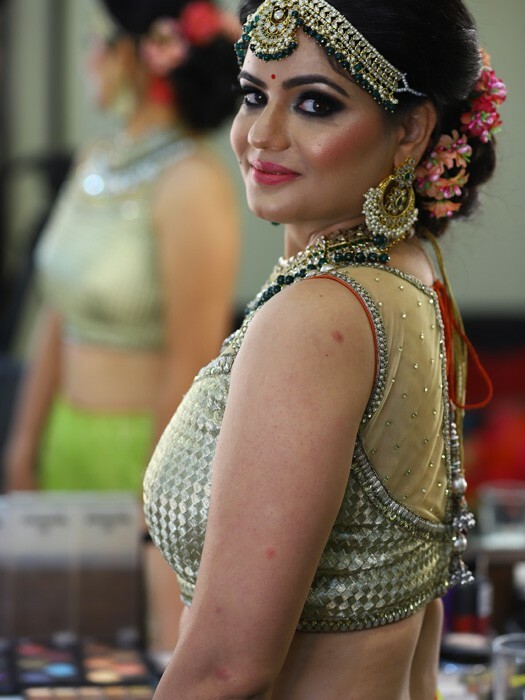 As well as Shades Makeup specialize in offering services for bridal makeup, film makeup, fashion, portfolio, commercial, event, party makeup, Photo shoot and many more.